Water information specialists Water Data Services has recently redeveloped its website to a mobile optimised format that will provide clients with numerous benefits. 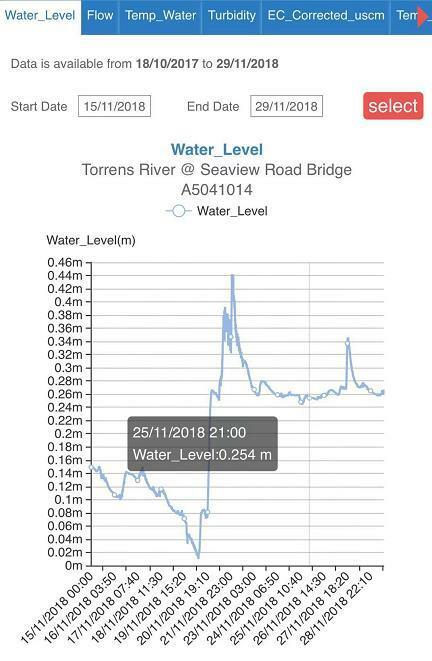 Clients accessing their data at www.waterdata.com.au with their login and password will enjoy an improved experience when analysing their monitoring network data on tablets and smartphones. Created by WDS software and system engineer Tim Liu, the high-speed mobile website is simple to use with intuitive menus and a clear layout. "The improvements in speed and processing for the mobile website have enabled an increased quantity of data to be displayed for our clients," Tim explained. "The improved functionality of the WDS website enhances the company's commitment to providing clients with exceptional solutions-based service in the measurement, management and presentation of water-related data," said WDS chief executive Brad Nicholson. Telemetry data displayed on the mobile optimised website. 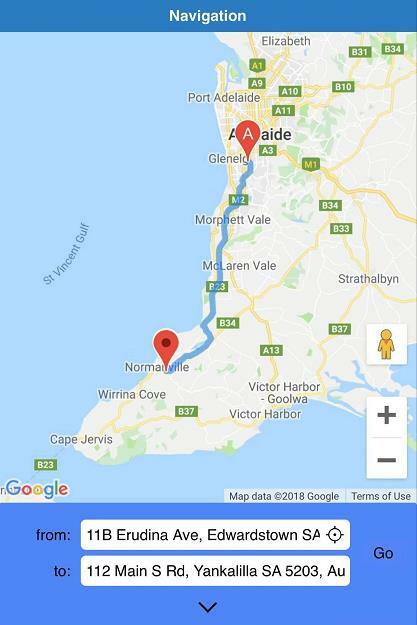 New Navigation feature to locate sites. 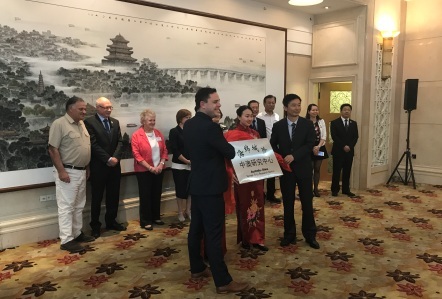 CHINA has engaged water industry experts from South Australia to direct aquifer recharge trials in a bid to reduce flooding and improve supply. The Australia China Sponge City Consortium is a joint venture business formed in 2016 to bring together like minded professionals with a passion for innovative project delivery in the urban environment. 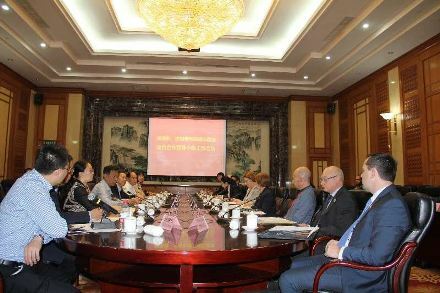 The consortium of six South Australian companies, known as the Australia China Sponge City Consortium, has opened an office in the Shandong capital Jinan. Work will begin this year on a pilot project in Jinan as part of the Sponge City initiative, which has a budget of up to AU$128 million per city. The consortium comprises parent organisations: Water Data Services, Syntec Global, Hassell, Australian Water Environments,Aqueon, and Alano Water. "Our role will be threefold: to address flooding and water quality, improve the liveability of Jinan through good design and re-instate the springs and their associated spiritual and cultural value,"he said. Water Data Services General Manager, Brad Nicholson at the opening of the Australia-China Sponge City Research Centre in Jinan this month. Brad Nicholson and Tim Liu from Water Data Services at the Jinan/South Australia Sponge City Steering Committee meeting this month. Since 1998, Water Data Services has successfully maintained a fully compliant quality management system (QMS), ISO 9001:2008. Water Data Services'QMS was recently audited by the British Standards Institution (BSI), and passed the audit with excellent results. BSI tested for evidence of compliance and ensured that ISO 9001:2008 standards are effectively addressed by WDS's management systems. WDS demonstrated its ability to support the achievement of statutory, regulatory and contractual requirements and the organisation's specified objectives, as applicable with regard to the scope of the management standard. It also confirmed the ongoing achievement and applicability of the company's strategic plan and, where applicable, its ability to identify potential areas for improvement of the management system. WDS is proud of its QMS and strives for continual improvement. The external independent audit has verified this commitment. Please contact us if you would like a full copy of the Audit Report. WDS recently purchased a 5.5 metre Stessl aluminium boat, suitable for water quality sampling and hydrometric work on inland lakes and rivers, as well as on open waters. The boat has a tri-hull, ensuring its stability for projects in rough water as well for working over the side of the boat. It will be fitted with a half-tonne crane, which is also interchangeable with the company's utility vehicles. The boat has been surveyed as a commercial vessel. The boat features a half-cabin with two single beds, and is suitable for long sampling trips (e.g. Murray River) where overnight work may be required. WDS staff includes skilled boat operators that have experience in both inland and open waters. Water Data Services has been recognised in the DEWNR Weekly for its contribution to the development and ongoing support of the AMLR surface water monitoring system. Surface Water Outflow information can be viewed at AMLR Surface Water a website developed and maintained by Water Data Services, for the Adelaide and Mt Lofty Ranges NRM Board. Water Data Services Pty Ltd in conjunction with the Adelaide and Mount Lofty Ranges NRM Board has been presented with the Smart Water Resources Management High Commendation for a Water Information Management System at the Water Industry Alliance's 2013 Smart Water Awards Ceremony. This was awarded for the development of Water Base, our Integrated Data Management System for Timeseries data. WaterBase streamlines the various processes of data collection from capture through to verification and web presentation.